Children have always craved nature, and the Middlesex Fells Reservation will always supply it. 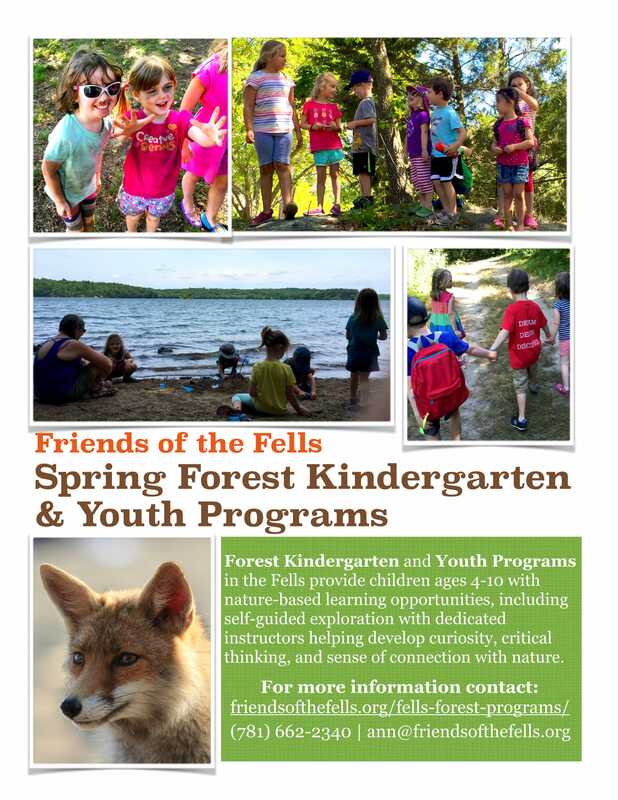 In the spring of 2017 the Friends of the Fells will offer a series of opportunities for preschool children (ages 4-5) as well as children in Kindergarten to 2nd grade (ages 5-7) and 3rd to 5th grade (ages 8-10) in several new daytime and after-school programs from March 13 through June 30, 2017. Pre-school-aged Forest Kindergarten children may take up to 3 five-week sessions once a week with a choice of two different times of day: morning (9-11:30 a.m.) or afternoon (12:30-3 p.m.). There is also a week-long April school vacation option from April 17-21. Most classes will center at the DCR Botume House at 4 Woodland Road in Stoneham, although additional classes may leave from Greenwood Park on Pond Street in Stoneham. Forest Explorers in Kindergarten to 2nd grade (ages 5-7) and Forest Adventurers in 3rd to 5th grade (ages 8-10) may also choose up to 3 five-week programs — after school from 3:30-5:30 p.m. They also have an opportunity for an April school vacation week (April 17-21). All programs remain child-led, although there will be options for the older age groups to engage in environmental science, or reading the work of New England nature writers, engaging in field sketching, poetry writing, photography, and more – all following the interests of the youth groups. 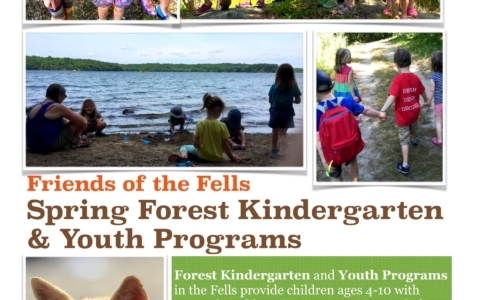 All Friends of the Fells members receive a $25 discount coupon code for any of our youth programs valid one per child. To join the Friends of the Fells visit http://www.friendsofthefells.org/join/. After joining, members may email friends@fells.org to receive their coupon code.